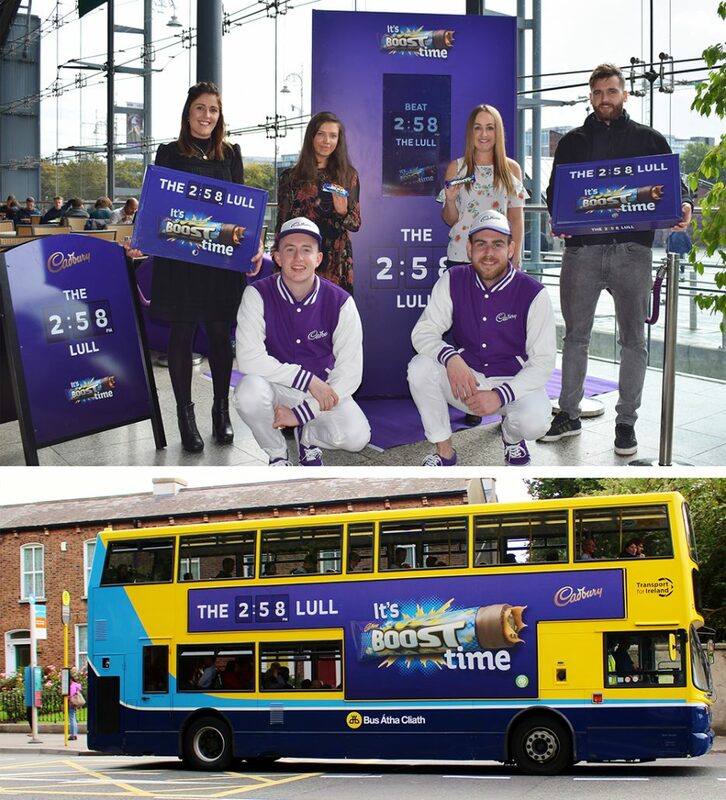 As part of its nationwide campaign to promote the Boost brand and introduce Boost +, Cadbury is combining an extensive classic and experiential OOH campaign. The campaign combines traditional formats including Capital T-Sides and Golden Squares with experiential activity to support the campaign objectives of generating awareness and connecting with consumers directly. To achieve this, a roadshow with a difference was conceived. Partnering with Carat, VCCP and Headcase Marketing, PML created the Boost bar match machine which was devised to surprise and entertain consumers. Creative work on the Capital T-Sides and Boost machine assets were handled by PML Group’s Design+ team.